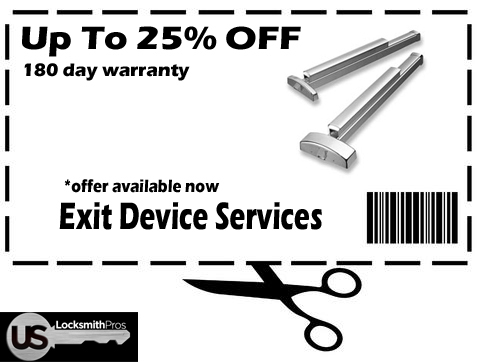 Denver Locksmith Pros is now offering up to 25% off of all exit devices for the residents of Denver Colorado! We can help get your business ready for inspection by bringing your exit device hardware up to code by replacing or repairing your current push bar or exit device. This offer is valid as long as you can see it on our site! 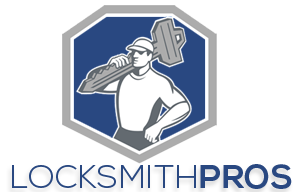 We provide repair and replacement for all top exit device brands including but not limited to; Adams Rite, Von Duprin, ASSA Abloy, Medeco, Baldwin, Schlage, Arrow, Detex, Emtek, Falcon, Mul-t-Lock and many more! For more information regarding Panic Bar Codes and Installation in Denver CO click here! *Offer valid in all of our service locations!